Where to go for tea ceremony in Kyoto? Tea Ceremony is Japanese traditional culture which includes many beautiful arts like pottery, bamboo utensils, iron kettle, calligraphy…etc. Many tourists tend to think it’s only women who join tea ceremony, but it’s not true! It was only Samurai who had started Japanese tea ceremony. Kyoto is the main area many citizen continue to have tea ceremony wearing kimono. Although there are traditional tea ceremony in temples and shrines once a month, it’s difficult for the beginners or tourists to join because we need to know how to move or greet there. Some tea houses in Kyoto welcome beginners & tourists to learn how to do or what we should bring with for the traditional tea ceremony. I guess many tourists coming from foreign countries far from Japan would like to experience authentic tea ceremony. Then, what’s the point to choose the best one? Many tourists think that All Japanese can perform tea ceremony and we join with family every 3pm or something. Many Japanese never do tea ceremony whole life unfortunately, people who are interested in traditional things visit teachers’ house and learn for many years. For example, there are some tea schools in Japan such as..
Urasenke, Omotesenke, Mushanoko-ji senke, Yabunouchi-ryu..etc. Each school has some rules to get the qualifications, and it often takes over 10 years to be a tea Master. So, what I want to say is let’s learn from the tea master or tea house with the certain qualification. 2, Tea Ceremony which represents seasons. What do you imagine for “the authentic tea ceremony”? I think the heart of the guests will decide finally. But generally speaking, tea master try to welcome the important guests with utensils which represents each season. And the guests are looking forward to seeing the utensils. Even the little bamboo school has some meanings. Tea Ceremony is not the same in the whole year. 3, Is it the “showing ” or the the guest can join authentically? Many of English tea houses in Kyoto offer the plan guests watch the show of “the way of tea” and drink matcha guest make by their selves. but personally, I’m worrying the guests don’t know what they are missing. 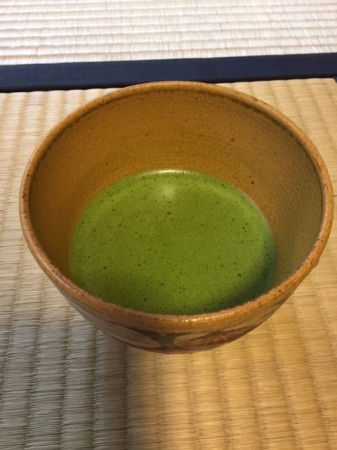 It often happens guests can’t whisk matcha well by their selves even he or she is Japanese. If the guests don’t have the chance to drink matcha a host makes, it’s a little disappointing. In addition, every Japanese beginners learn how to greet in a tea room even in the elementary schools. If I hadn’t taught how to greet to Japanese students in the tea ceremony class, I might be fired by their parents or schools! Why don’t you experience it by learning whole tea ceremony if you are interested in Japanese culture? Since our tea ceremony class is held in a small group, you can experience it in just 45 minutes! If it’s Japanese cafe, matcha and sweets are just 500-800 yen. But tea ceremony is not only making and drinking tea. Tea master practice until the body remember every movements, which had been inherited from 400 years ago. As I wrote before, it takes about 10 years to be a Master. 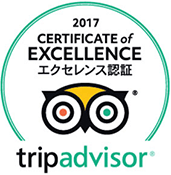 The price for the tea ceremony experience in English is 2000-3000 yen in Kyoto. Compared to Tokyo, it’s very reasonable price. In temples or shrines, it’s just 1000-1300 yen to enter, but of course, it doesn’t includes any instructions or utensils guests how to bring with. Some tea house offer the completely same plans as the shared one, just the “private”, while some tea house offer something very special for the private session. For example, we prepare fresh Japanese sweets as well as Japanese cookies in the private session. In addition, guests can try both thick & thin tea if you want. Where in Kyoto do you have tea ceremony classes? We have some English tea ceremony classes in Kyoto. Tea Ceremony Koto is just a 1 minute walk from Golden Pavilion, north area of Kyoto ciry. Other tea ceremony houses are near Chionin temple, and Kiyomizu temple, and Kyoto station. All are in south of Kyoto city. Since all hotels and many restaurants are in Higashiyama or near Kyoto station, many people visit south. It’s easy access by trains! Compared to the south, north area is peaceful and less buildings for tourists. 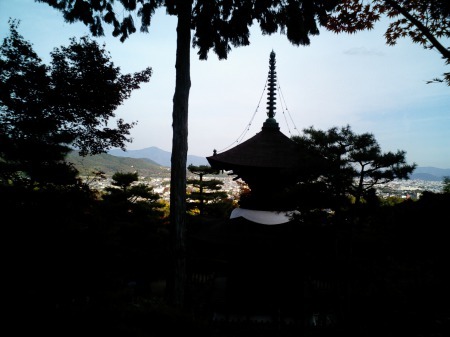 Just temples like Golden Pavilion (Kinkakuji), Ryo-anji temple, Daitokuji temple. Although You need to take city bus to come, north are is suitable for tea ceremony which needs quiet atmosphere. If you visit the world heritage site, Golden Pavilion (must see spot in Kyoto! ), it’s very easy to find us.